"'When I was reading science fiction novels as a young teenager one of the things which drew me to them was the covers, which tended to feature colossal multi-coloured spaceships and exotic planetscapes by artists like Chris Foss and Peter Jones. The modern-day equivalent of those illustration giants is Ian McQue, a concept artist for movies and computer games and also the creator of a wonderful body of personal work featuring shifty-looking characters, wild landscapes and rusty airborne boats (check out his Twitter or Instagram accounts)." 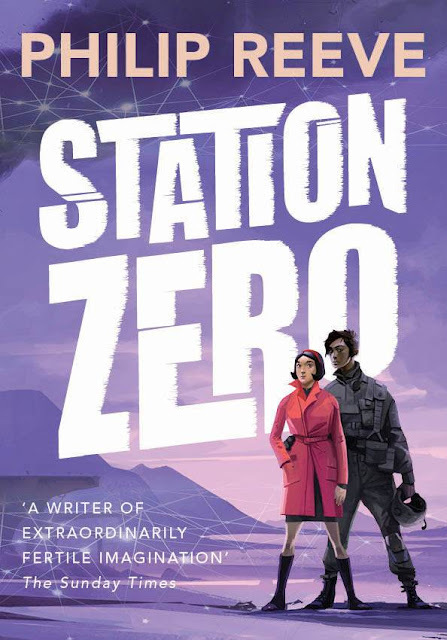 Station Zero will have a May 2018 release date. Order from Amazon.